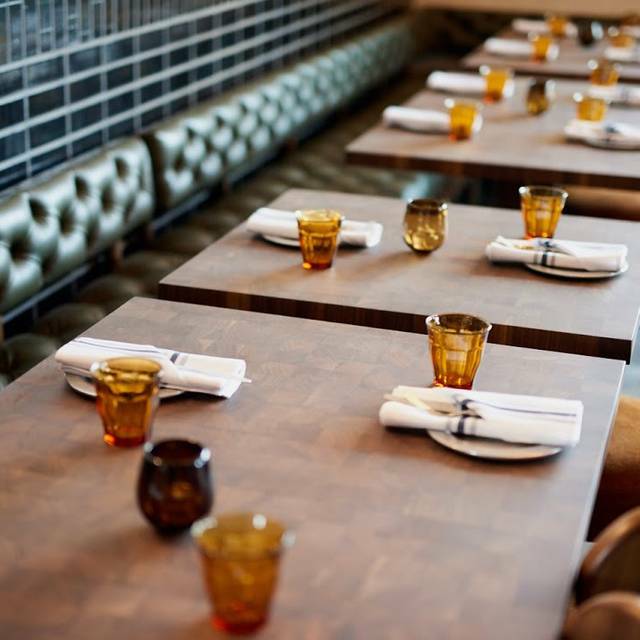 You must make reservations at least 5 minutes in advance of the time at Central Standard. Half off specialty cocktails, beers and wine by the glass. 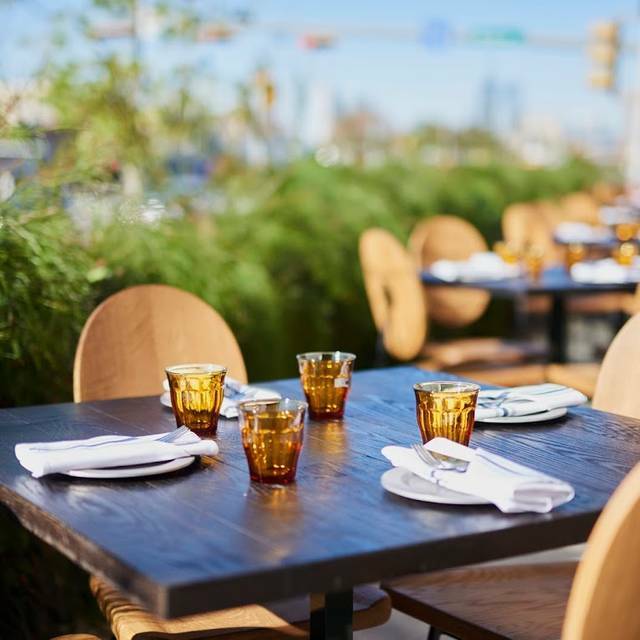 Central Standard is a bar & grill on South Congress Avenue. Central Standard features a wrap-around patio, raw bar, wine cellar with more than 100 labels from around the world and private dining room. We made a reservation for Easter Sunday brunch and while the food was amazing, the poor service is hard to forget. Based on the reservation process I have to assume the restaurant knew many tables would be full. We were treated by one server who never came back. Another took our drink order, which took 10+ minutes to arrive, and then our food order. A runner delivered the drinks and food and the server did not come back until we asked the person that cleared our plates for the check. As for food, the chicken and biscuit was amazing. Also good were the fries w/sauce and BLT. Celebrated 17 year anniversary with family! Came for our anniversary. We sat in the dining area and wasn’t aware you couldn’t get happy hour except in the bar and cocktail area. Food was phenomenal, cocktail server was awkward, but overall experience was great. Thankful for food, great company, and a beautiful experience. Ana, the hostess and our waitress was fantastic. When we asked her about the fish special she described, but then said "only one left". I wanted the dish and she assured we got it. She was very pleasant, attentive, but not hoovering much. We had the Atlantic Char- which was superb, as well as a shrimp cucumber salad and the Cauliflower Side ( the spicy one) and ALL were fantastic. And dessert!!!! The lemon bar was the perfect size and flavor. If you want to send the recipe for the lemon bar, we would make it for our friends and boast where we got the recipe. We were rewarded with a very cool interior and the food was well done for sure, save for dessert. Our server was a bit on the odd side, in a unengaged, not totally friendly way. Perhaps it was a bad night. Wine list was very serviceable, however not many lower priced wines for the couple that dines out a lot. Service was pretty terrible, took four hours for four people to eat a three-course meal. They blamed it on SXSW, but there really weren’t that many people there and everybody else seemed to be in and out at a regular clip. Other than that, food was good, beautiful atmosphere. My wife and I made reservations for a 1 year anniversary brunch here. We had been here before on NYE and the whole experience was fantastic. This time around, not so much. Let me start by saying the manager did make things right in regards to the bill. It took 8-10 minutes to be greeted after being seated. Once I asked if someone was helping us someone finally came. We only talked to our waitress a couple of times and she wasn’t able to follow up on my simple question of why would I pay more for a craft of a cocktail than just ordering individuals. The manager did acknowledge that the pricing does seem shady... so do your math. Our prime rib hash was sub par, but the fried chicken was AMAZING. So was their broccoli cheese dip. We really hated having such a bad experience. I wasn’t expecting to have someone there waiting hand and foot, but if I’m paying the amount they are requesting boy I hope I am noticed and maybe maybe maybe even congratulated on the occasion that was noted on my open table reservation. 2 stars overall if you ask me... but the first time we were there was easily 4-5 stars! We were at Central Standard for the oysters but my companion had a bad one that tainted his meal. Mine was ok but not stellar. Our side were ok. It was bad overall. They served us oysters that smelled like a sewer.....seriously. They steak was terrible. We refilled our wine by ourselves all night. Will not be back to eat dinner ever again. The bartender is cool though. The food was extraordinarily good. No complaints whatsoever. The staff was kind and fun and service was quick. We went for Valentines Day dinner. We had reservations and showed up very early and they still accommodated us immediately. I like a limited menu and they didn’t disappoint. The appetizers, sides, and entree’s were well thought out and executed perfectly. They have East Coast Oysters which we prefer. Get the whisky cake for dessert. Yum! It was a very nice evening. All around best dinner before a show date night spot-outstanding selection on menu and drinks- Will be back again and again. Brunch, good food as always and outstanding service. Wonderful food (pork chop, flatbread, burger); great service. Maybe a little loud but would go again for sure. NOOOO vegetarian alternatives. We were a part of a big group and a “set menu” which was never discussed the price. My husband only eats shrimp as protein but “we don’t have shrimp” so they offered a flat bread. Not only did they throw everything they had in the kitchen on it but it was cold and SWEET! My NY Strip was good but cold as well and we were charged $150- per person!!!! For a flat bread, potato salad & cauliflower SO spicy no one could eat it! SERIOUSLY!! 1 glass of house can & a cold NY strip AND they would not even redeem my open table $25- card. I had to get EVERYONE involved for them to “manage”. This place was AWESOME. Everything was delicious. The oysters were perfectly described. The pork belly app was the best thing I’ve ever eaten in my life. And for someone who doesn’t like potato salad, I was licking the bowl of potato salad. Great date atmosphere. Also perfectly paced meal. It was like our server was reading our minds. LOVED IT! Food was great, service okay but not the best place for birthday surprise. They had to go to the hotel to find a candle. Sad to say, the quality of the food has fallen. While the ambiance and service was excellent, our meals were less than impressive. I ordered a NY strip to be prepared “as rare as possible”. The chef over-cooked one side of the steak, cut the filet in pieces, and layered the meat so that the less cooked side faced upwards. When I turned the pieces over, I could see the steak was simply left on the grill on one side for too long. In addition, the collared greens were so salty that I was up several times during the night to drink water. For a $37 entre, I would have expected better attention to detail. Coleman in the Bar is amazing. Everything was perfect for me as a solo dinner. Went for brunch- great service, great food! Chicken and biscuit was delish! Helpful sever and good atmosphere. Please make blue cheese stuffed olives for martinis. The food was very good. I had the market fish and it was cooked perfectly. My bride had the chicken and it was perfectly flavored and tender. The cauliflower was just the right amount of spicy. 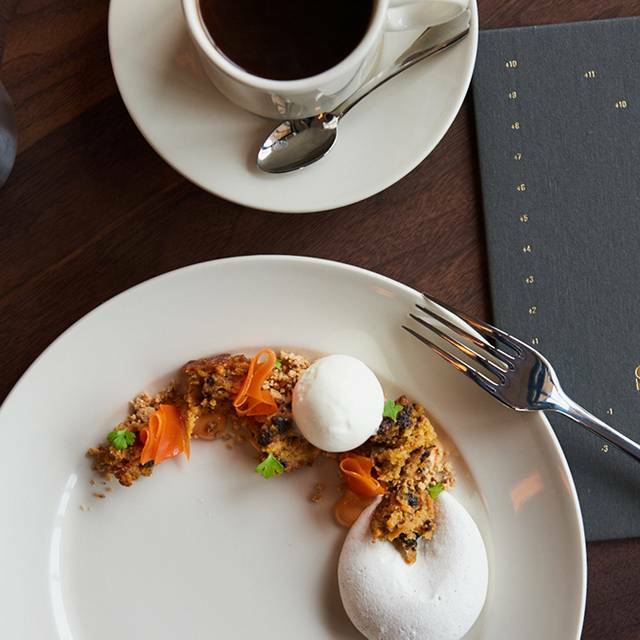 This is one of the only great brunch spots in town that you can make a reservation for. While I'm not opposed to waiting outside for an hour for a table for some Snooze or Counter, I did not want to subject my visiting mother to that. We were seated right away, the dining room was not over full, the service is some of the best I've ever had, and the food is spectacular. Their steak hash is fantastic, but their biscuits are a must get, trust me. The only down side is that their drinks are pricey. 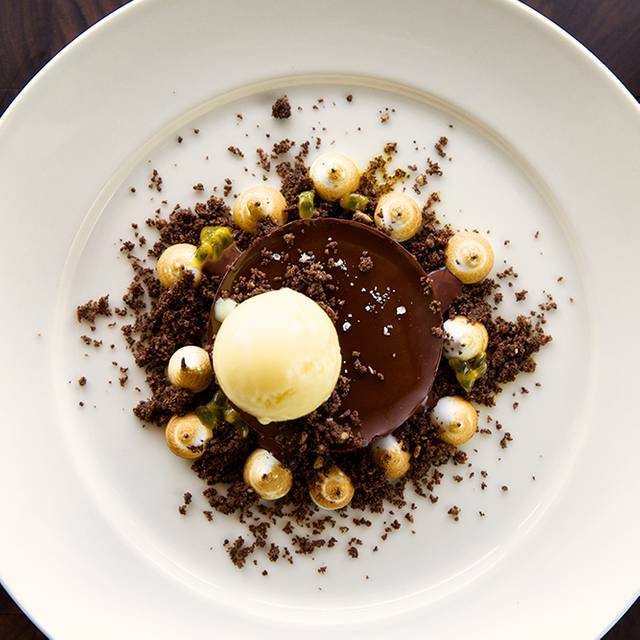 The food is fairly reasonable for how fancy the space and service makes you feel. $50 for a carafe of mimosas is a bit much though. Highly recommend, just don't plan on getting day drunk here. Had a wonderful evening there on a first date. Food and service were great! 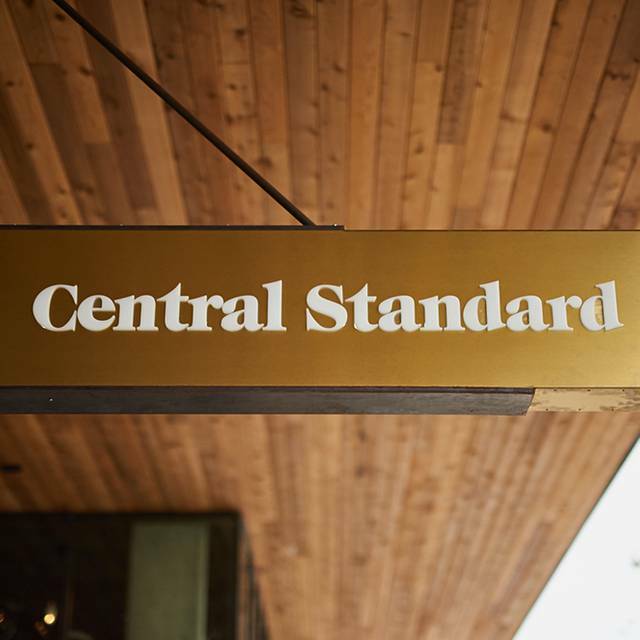 My husband and I have dined at Central Standard at least 10 times and have always enjoyed it. This time we found ourselves somewhat disappointed by the food. 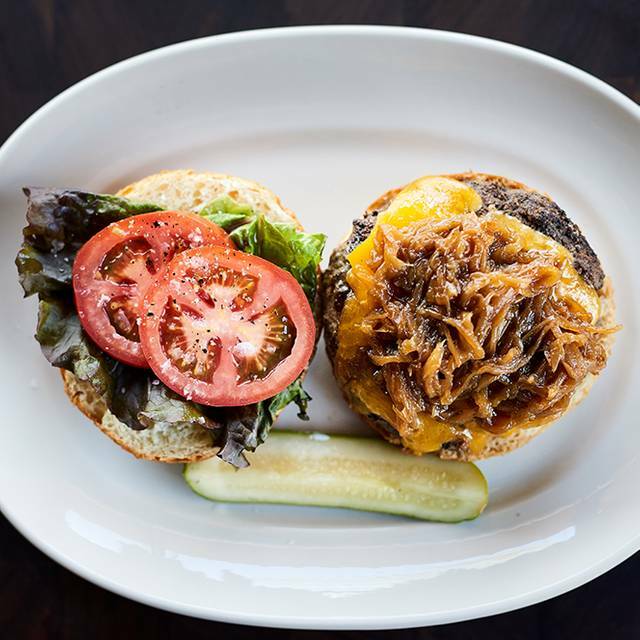 The burger, which used to be a highlight of the menu, is now served as two patties that must be "cooked through" meaning you cannot get them medium, much less medium-rare. I ordered snap peas as a side dish and they were totally inedible. Basically, you cannot eat them without ending up with a mouthful of inedible string. I was surprised when I told the waitress that they were inedible, that she still charged us for them. Very bad for customer relations. 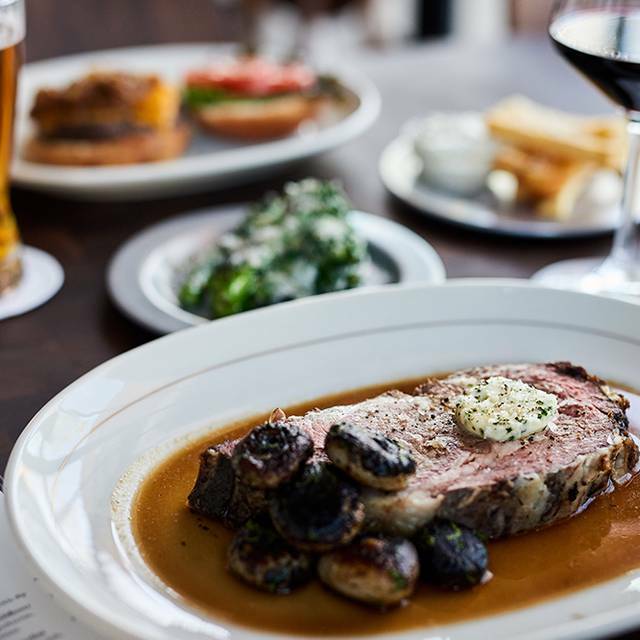 Elegant American eatery at the beautiful South Congress Hotel, with an excellent wine selection, and classic menu. Cannot go wrong with the Half Chicken, Cheese Dip, and Cheesecake - nostalgic dishes, elevated with elegance. A must visit when in Austin! My overall experience here was mediocre. The ambience was lovely but the chairs were uncomfortable, our waitress was practically whispering and was very forgettable. The salad starter was good and fresh, and my husband had a burger that was good too, however his fries were cold. We also had a side of corn and that was hot and fresh. I ordered skirt steak. The waitress did not ask me how I wanted it cooked and when it arrived it was rare, cold & chewy, a terrible combo. I sent it back and asked for it to please be warmed up. When it came back it was still inedible. They took it off our bill and we did not get desert. I never need to come back to this place. With all the amazing food in Austin this place really misses the mark. The fish entree was excellent and the craft cocktails never disappoint. Service was great, though a little slow because of the crowd. Consistently very good food, great vibe, eclectic crowd. Excellent brunch Father’s Day year before last so we took out of town guest. Disappointed with limited breakfast brunch menu. Food presentation disappointing. Only item better than adequate was the amazing biscuit. Even decaf was awful. Second I’ve been there and will be back again. Had the pork this time and it did not disappoint. Dined here on a Tuesday night- not crowded. Waitress very attentive, kitchen was slow. 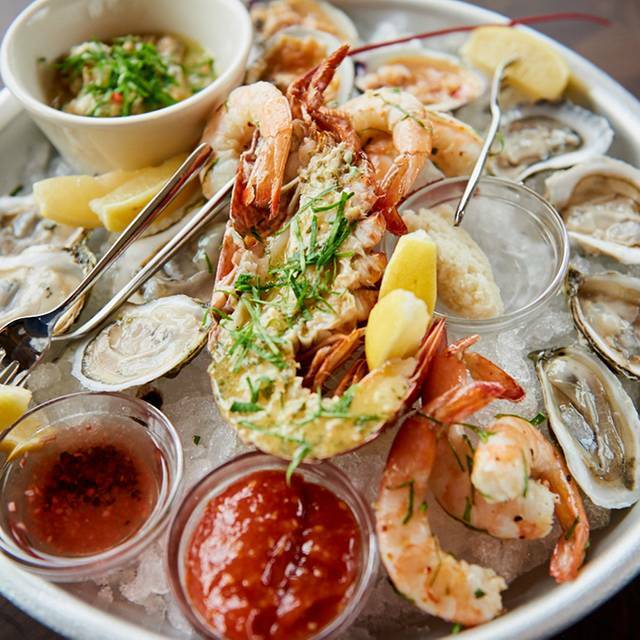 Limited options for appetizers outside of shellfish. Raw oysters are their big thing. Curried shrimp appetizer was interesting. Pork chop got a thumbs up from some in our party; not so the chicken- breaded coating was kind of tough- maybe overdone, and sauce too salty. Nice wine list; cookies for dessert were good. Overall, we thought too expensive for what it was. Been wanting to try this place for a while now so we decided to eat here before bat fest. We immediately fell in love with the decor and ambience. 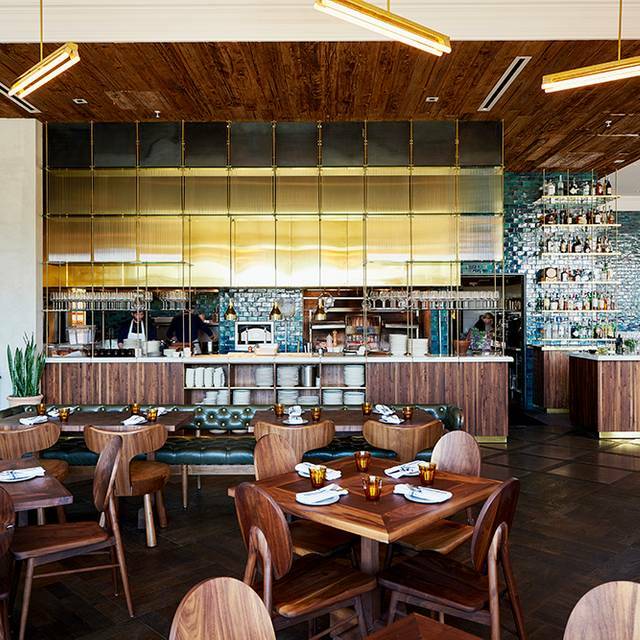 The blue wall, the gold trim, the leather and wood seating. All done very well and fits right in with the gentrification of south congress. The drinks were fresh and the food was good! If only the same could be said about the wait staff :( While the service wasn't what I would define as slow (we came early, at 6pm), the attitude we all picked up on was a combination of "annoyed" or "I don't want to be here." Our drink and menu questions were responded with blank stares, long drawn out pauses or limited suggestions. Had a hard time rating the service because it took away from an otherwise nice experience. We will come back but will sit at the bar to see if the bartenders are more friendly.